Laura Apol is Associate Professor of Education at Michigan State University. Her poetry has appeared in numerous anthologies and literary journals. Her co-edited collection for young readers, Learning to Live in the World: Earth Poems by William Stafford, was the winner of a Hungry Mind Book of Distinction Award. 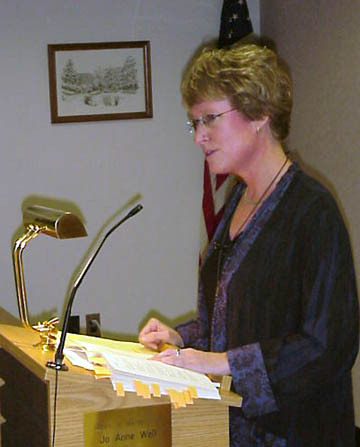 Apol's first book was Falling Into Grace (Dordt College Press, 1998) and her last book, Crossing the Ladder of Sun (Michigan State University Press, 2004), won a 2004 Oklahoma Book Award.